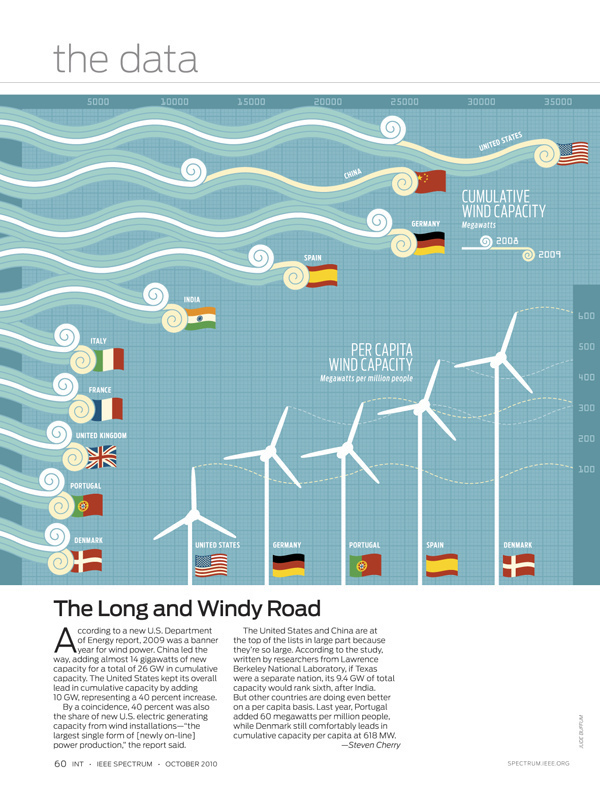 Jude Buffum created this fun infographic for a IEEE Spectrum (October 2010 Edition) story about the rise of wind power around the world. 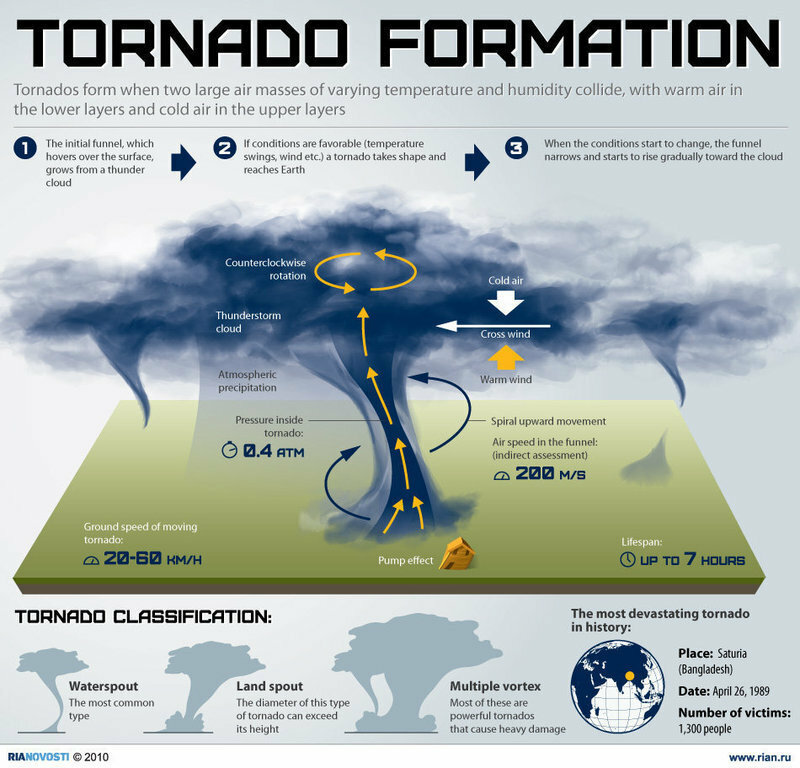 Tornados form when two large air masses of varying temperature and humidity collide, with warm air in the lower layers and cold air in the upper layers. 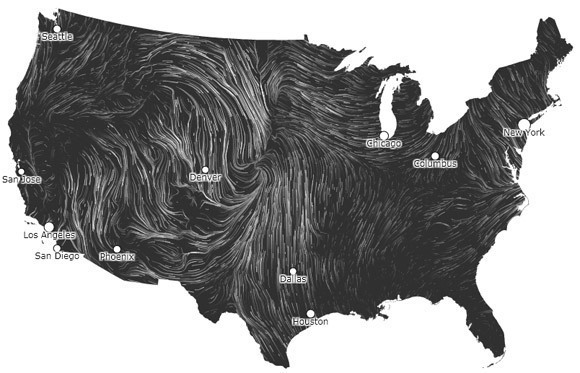 Harnessing the wind is something that humanity has been doing for a very long time. The earliest example is the sailboat, developed independently all over the world; the sailboat uses the force of the wind to move a boat over the water. 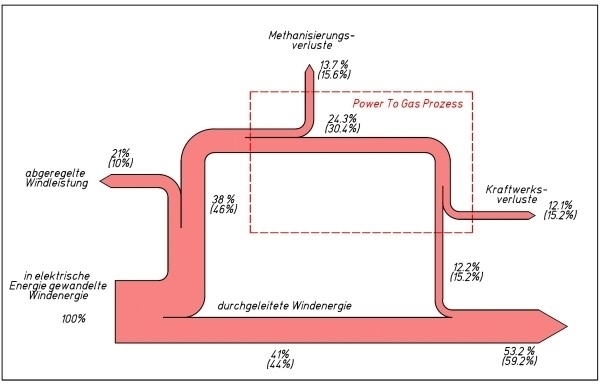 Early attempts at using windmills to create electricity were quite successful, but the energy provided could not compete with the output of a fossil fuel burning plant and the technology was widely abandoned. 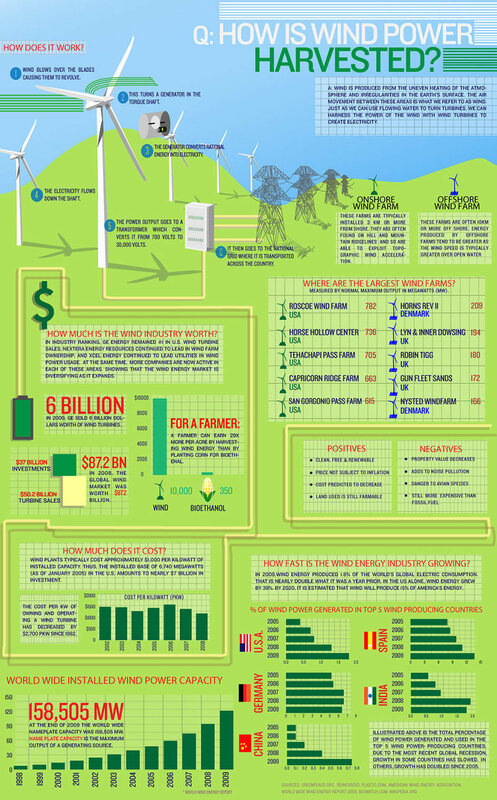 Recently, as global warming has increased and oil supplies have decreased, wind power is being looked at again as a clean energy source. In a world of dwindling traditional energy resources, countries are starting to invest in more sustainable alternatives. 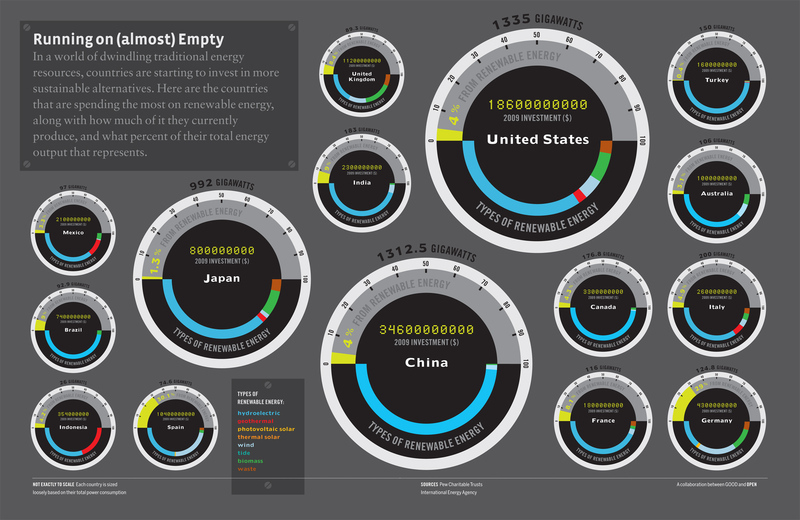 Here are the countries that are spending the most on renewable energy, along with how much of it they currently produce, and what percent of their total energy output that represents.